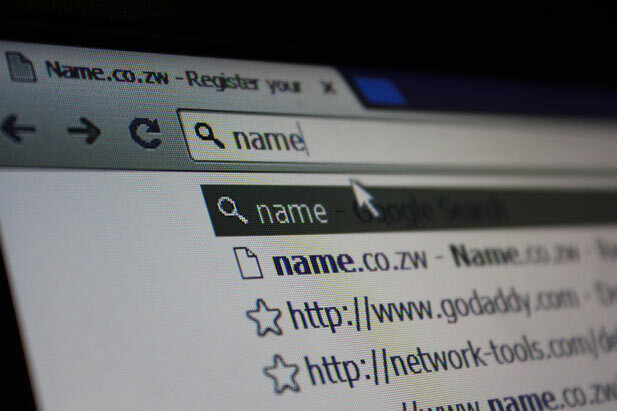 This is the first in a series of guest articles authored by Isaac Maposa, the co-founder of Web Enchanter, a Zimbabwean startup in the domain registration space. Knowing how the Domain Name System works will help you in a case there is a failure or configuration error of your DNS records. In a case like this you will be able to troubleshoot on your own where the problem is. I know most of us rely on our ISPs (Internet Service Providers) to do it for us but sometimes they may have made the error in configuring or setting up your domain name’s DNS records. DNS errors may lead to loss of revenue or traffic. Relying on your ISP also means for any change that needs to be done on your domain name’s DNS records you will have to contact your ISP. Considering the poor service offered by most local companies, it may take you ages to get the DNS records updated. But if you know how it works it takes you a few minutes to change your DNS records without contacting them. Computers on the Internet communicate using unique strings of numbers called IP (Internet Protocol) addresses like 74.125.225.133 to locate each other or other resources on the internet. The use of IP addresses posed a difficult situation for people to remember those strings of numbers; therefore in 1983 the Domain Name System (DNS) was introduced. The Domain Name System (DNS) is a distributed database that translates domain names like google.com into IP addresses such as 74.125.225.128. The use of domain names like google.com now makes it possible for people to locate a website or other Internet resources using a human readable and memorable format instead of typing in a string of numerical addresses like 74.125.225.133. A domain name is therefore a human readable and memorable representation of an IP address. 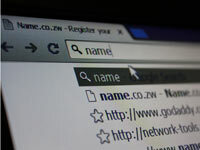 Establishing a brand online – A domain name helps an individual or organisation to establish a unique identity on the Internet which in turn can be used as the basis for establishing a brand online for example google.com. Securing your Internet name – Everyone will agree with me that your company name is one of the greatest asset. Securing it on the Internet ensures that you won’t lose your name to someone else who will use your offline reputation to steal your customers online. Integrity and trust – Customers will trust organisations or individuals with a branded domain name like yourcompany.co.zw rather than free domain names like wordpress.com/yourcompany. Owning your domain name also reflects that you are serious about your online business. Easy to be found online – Having a domain name makes it easier for your customers to locate you online and also remember your Internet address. Portability – Having your own domain name makes it possible for you to move from one service provider to another without restrictions and effect on your domain name and links to your website. Protecting copyrights and trademarks – Registering your own domain name is also a move to protect your copyrights and trademarks online. Websites – the most common reason why people register domain names is for websites. The domain name will be used as the website address e.g. name.co.zw. Emails – A domain name can be used to create professional emails like sales@yourcompany.co.zw rather than use generic free emails like yourname@gmail.com or yourcompany@yourisp.co.zw. You can also use it to forward the emails to other email services for example emails coming to sales@yourcompany.co.zw can be forwarded to yourname@gmail.com. Name Servers – A domain name can also be used for name servers for example ns1.webenchanter.com. An informative piece. Thank you for this. Thanks for the positive feedback, glad you liked the article. The other series of the article coming soon. Thank you very much sir, you have brought this info at the right time.Much appreciated. Glad you found the article helpful Tonde. Thanks for positive feedback. Which are the best sites to register a domain I pay for? Sorry, i didn’t get your question right. Thank you for this educational piece of information. Most appreciated please keep us updated on other aspects of IT. Thanks Wilson. More of these articles will be coming.